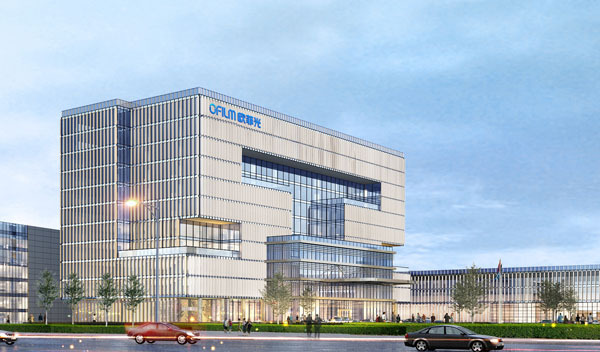 In order to seize the commanding heights of the VR industry, at the end of 2016, OFILM Technology and the well-known enterprises related to more than ten VR industry chains initiated the establishment of the Nanchang Virtual Reality Research Institute. In December 2017, Jiangxi Provincial Industry and Information Technology Commission approved and agreed to build a virtual reality innovation center based on the research institute. The Innovation Center focuses on the supply of key common technologies, with the key point of transfering of results and the first commercialization and the core mission of breaking through the “Death Valley” of engineering and industrialization of scientific and technological achievements. At the same time, it takes full advantage of the platform, integrates resources and promotes the coordinated development of enterprises in the industry.All of these form a closed loop of “production-study-research-use” VR industry.Meanwhile, the Innovation Center improves the public service sector, cultivates innovative talents and strengthens international exchanges, and creates a synergistic innovation ecology. The system helps China's virtual reality industry to leap to the high-end in the value chain and contribute to the building of a smart country. At present, the Innovation Center has built six sub-centers. In addition, the Innovation Center has also initiated the establishment of the “China Virtual Reality Industry Innovation Alliance”, focusing on the core concepts of “synergy, efficiency, sharing and marketization” to create a virtual reality industry innovation ecosystem, and undertaking innovative projects,task, consulting and promotion. The alliance includes more than 70 alliance units including Beijing Institute of Technology, Beihang University, Chinese Academy of Sciences, ODG, Juant, Unity, Da Peng, 3glasses, etc., to take full use of platform . Technology Research and Development Center: Focusing on six directions of optics, display, interaction, image computing, ergonomics, and transmission, we will carry out technical research and strengthen the strategic reserve and layout of intellectualproperty. Technology Transfer and Diffusion Center: Form a transfer and diffusion mechanism with a market-oriented mechanism asthe core, and accelerate the large-scale commercial process of innovation results. Public Service Center: Focus on creating service functions such as virtual reality product test verification, information consultation and exchange, and technical achievement transaction. Talent Training Center: Based on the 20,000 square meters education and training building, the existing resources such as the Virtual Reality Training Institute and the Nanchang Institute of Technology Virtual Reality Technology Public Training Base will be established to form a talent training center. International Exchange Center: Relying on the Stanford University Virtual Reality International Research Institute workstation in Nanchang, we actively carry out international scientific and technological exchanges and cooperation, and set up an international exchange center. 2020： Become a research and development institution that leads the innovation and development of China's virtual reality industry,A revolutionary breakthrough in key technologies, core components, and key manufacturing in the virtual reality industry. 2025 ： Become the promoter of continuous innovation in China's virtual reality industry,Support China's virtual reality industry to improve development speed and quality. 2030 ： Become the top innovation organization in the global virtual reality industry,Leading the virtual reality industry to achieve rapid development.